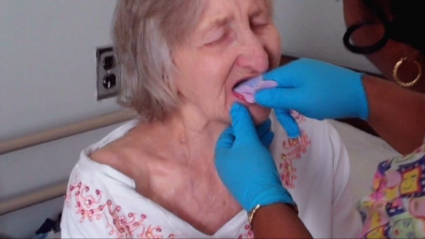 This evidence-based, 2-DVD oral care program uses realistic, person-centered techniques to overcome many of the behavioral challenges to providing good oral care when dealing with persons who have dementia, or other cognitive and physical impairments. Using before-and-after situations with real patients/residents, it combines best practices in oral hygiene with proven techniques that take the guesswork out of how to provide sensitive (and effective) oral care. Ideal for new and veteran staff, the DVDs are chaptered for easy access to a particular area of interest.